Aadhaar card is the most reliable identity proof today. It contains information like name, address, mobile number, date of birth. The card is accepted in all government-authorized institutes. The application process for aadhaar card is same in Assam like other states of India. The complete details on the process is mentioned below. Visit the official UIDAI website by clicking the link https://uidai.gov.in/. On the homepage, click the option ‘Locate Enrolment & Update Centers’ under ‘Aadhaar Online Service’. Now choose the details of your address accordingly like state, district, village, etc. Enter the captcha and click on the search button. A complete list of aadhaar enrolment centers near you will appear on your screen. You can book the appointment online by checking out the available dates or else you can call on the contact number provided there to book an appointment. An appointment can be also booked by visiting there in person by checking the address from the website. 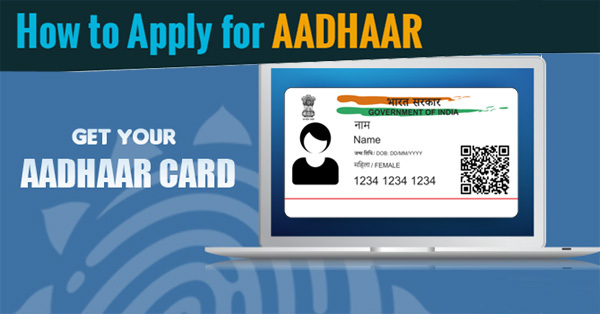 Now, the first thing which you need to do is collect an aadhhar registration form from the aadhaar enrolment center. You can also download it online by clicking the link https://uidai.gov.in/images/aadhaar_enrolment_correction_form_version_2.1.pdf and print it out on an A4 sized paper. Fill up the application form and visit the aadhaar enrolment center at the date of appointment. Don’t forget to take both original and Xerox copies of all the required documents for verification purpose. Submit the filled up form and documents to the executive at the aadhaar enrolment center. After verification, your retinal scan, fingerprint impression, and image will be captured. When all done, your application will be submitted and you will be given an acknowledgment slip, which you can use later to check the status of your application by clicking the link https://uidai.gov.in/check-aadhaar-status. After issuance, your aadhaar card will be sent to you via post. You can download the e-aadhaar online too by clicking the link https://eaadhaar.uidai.gov.in/ and entering the acknowledgment slip details. Proof of Address: Ration Card, Bank Statement, Passport, Voter ID Card, Driving License, Insurance Policy, etc. Proof of Identity: PAN Card, Ration Card, Passport, Voter ID Card, Driving License, etc. Birth Proof: SSC Certificate, Passport, Birth Certificate, PAN Card, Pension Payment order by state or central government, etc.